Only The Flaming Lips would have the temerity to try to pull this off. On October 27th the trailblazing group will release a track-by-track cover of The Beatles' Sgt. Pepper's Lonely Hearts Club Band. For this they've enlisted a long list of collaborators and named the effort With A Little Help From My Fwends. It begins with a bang as "Sgt. Pepper's Lonely Hearts Club Band" starts with a clatter before turning into a My Morning Jacket and J Mascis-aided bubbly tune. A wonky warbly-effects filled version of "When I'm Sixty-Four" is simply delightful. The closer, "A Day In the Life", is mellow and soothing. From a style perspective, there are a couple of pleasant surprises on the record. We get a nice rootsy vibe on "Getting Better", which features Dr Dog. The Maynard James Keenan-lead "Being for the Benefit of Mr. Kite!" takes an evil, Gothic turn. The standout is "Lucy In the Sky With Diamonds". The group performed it to great reaction during Riot Fest, and it's absolutely transcendent on record with Miley Cyrus and Moby lending a hand. Of course, the band does fly off into the atmosphere at times with some self-indulgent ventures. The spaced-out "Fixing a Hole" is a complete toss-off. The incredibly pedestrian "She's Leaving Home" (featuring Phantogram and Juliana Barwick) is a snoozer as well. Sadly, the Lips fail to make any real use of Grace Potter's gritty vocal ability, virtually wasting her appearance on "Good Morning Good Morning". 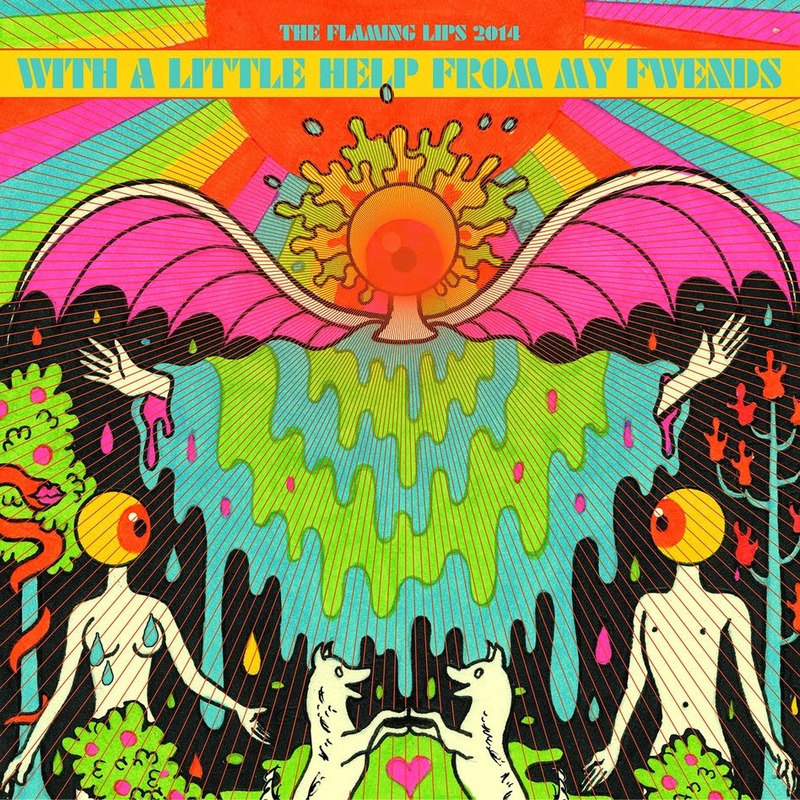 With a Little Help From My Fwends is far from the novelty that the Flaming Lips' take on Dark Side of the Moon was. It's a good record that's actually better than the last couple of originals that they inflicted on us. Best tracks: "Lucy In the Sky With Diamonds", "A Day In the Life"